Comments Off on Kurdistan’s referendum, what next? 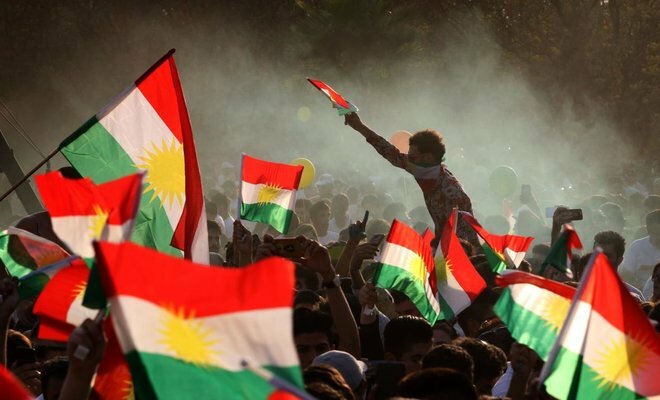 The recent call for an independence referendum in Kurdistan has unsurprisingly triggered conflict between those who support independence and those who oppose. The debate is not new; in fact independence was touted for a similar time of year back in 2014, before being abandoned due to a deterioration of the security environment due to the rise of ISIS. In order to understand the opposition, a regional perspective is required. There is concern that Kurdish independence could trigger other regional independence movements and calls for greater separation of states in the region. It is interesting to consider why this might be a risk, and much of it comes down to the fact that the modern borders of the region are not based on ethnicity or tribal differences, but rather from arbitrary post-war allocations. But even more than this it is the failures across the region of building successful modern states with strong national identities based on stable internal security. Without this, people seek comfort and security in religion and the smallest possible ethnic or tribal groupings. On the other hand, there is a legitimate case to make for independence in Kurdistan. The right of people to choose their form of government in a fundamentally democratic process like a referendum coupled with the failure of Iraq to develop a unified national identity, the level of sectarianism and the political exploitation in Iraq. In order to build a strong internal unity, leaders must focus on social justice, reasonable distribution of wealth, law enforcement and real security, equality, justice, respect of human dignity, pluralism and other liberties. These key ingredients are missing from most of the countries in the region, which has suffered through waves of sectarian propaganda and violence over the last generation. Civil wars have solidified psychological and cultural divisions, both of which are natural precursors to geographical division. Should Kurdistan achieve independence, we are likely to see more extensive separations in the region. As such, we are seeing a lot of opposition to the referendum from the established hegemony who fear the diluting their influence and power and are concerned about being distracted from fighting ISIS. In which case, we may see a push to delay the referendum until there is greater regional stability and security. Beside the Iraqi government, the two major countries opposing the step are Iran and Turkey. Both countries see the Kurdish move as a risk to their integrity due to the potential for other independence movements and the resulting ethnic and social shift amongst their populations. Their opposition is political and based on the interests of the governments and those in power rather than what is best for the people. As unlikely as it may be, should opposition escalate to the point of military intervention, the desire for independence is unlikely to be quashed as it is borne of structural issues and would likely trigger UN support for a new state. We should also consider that war and threats are unlikely to end the sectarian, ethnic, religious and geographic disputes that we are seeing across the region. However, a revision of our model for states and national identity could assuage much of the tension. Transparency, inclusivity in the political process, and creating a sense of belonging are far more powerful. Applying these virtues to the role of the state and the citizen-state interactions would be far more effective in avoiding the separations that we are likely to begin seeing across our region.